–Former PM’s counsel opposes submission of new documents, asks why they weren’t presented earlier? ISLAMABAD: The National Accountability Bureau’s (NAB) plea to submit new documents in the Flagship Investment reference against former prime minister Nawaz Sharif was accepted by an accountability court on Friday. Accountability Court II Judge Arshad Malik had earlier in the day reserved his decision on the plea after hearing arguments presented by Nawaz Sharif’s lawyer Khawaja Haris. The arguments presented by Haris were, however, rejected by the court while allowing the anti-graft body to submit new documents. “We mentioned in the supplementary reference that we will provide documents after receiving answers,” answered NAB Deputy Persecutor Sardar Muzaffar Abbasi. “If they present new documents then they should also present related witnesses,” said Haris. “NAB has not mentioned the relationship between the documents and the Flagship investigation. The court cannot assume on its own relationship between the documents and the investigation officer,” the bench observed. “Why are these documents being presented eight months later?” it was further observed during the hearing earlier in the day. On Thursday, the court had issued a notice to Nawaz over NAB’s plea to submit new evidence on record. The investigation officer further requested the court to include additional evidence on record. However, the hearing was postponed till Friday after objections were raised by the defence counsel. 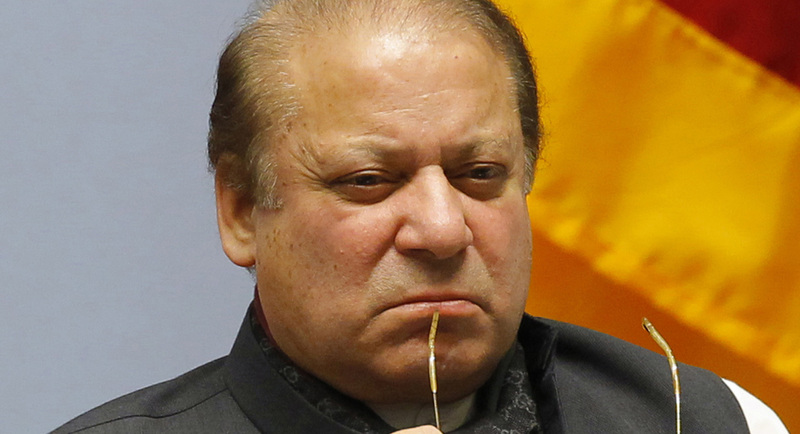 The accountability court on Friday provided a questionnaire to accused Nawaz’s counsel for recording a statement in Al-Azizia Steel Mills corruption reference on November 12. The questionnaire comprises 50 questions and further questions would be added in it during statement recording under section 342 of NAB Ordinance, the court said. Judge Arshad Malik conducted the hearing on former prime minister’s plea seeking provision of the questionnaire before recording his statement. Nawaz did not appear before the court and sought one-day exemption from the hearing which was accepted. As the hearing began, NAB Deputy Prosecutor General Sardar Muzaffar Abbasi opposed the defence plea and contended that the questionnaire should not be shared with accused before recording his statement in accordance with law. He argued that the accused would come with preparation and consultations of his legal team if the questionnaire was handed over to him. However, the court ordered to provide a questionnaire to the accused’s counsel and summoned Nawaz on Monday to record his statement.